Petroleum Development and Environmental Conflict in Aotearoa New Zealand: Texas of the South Pacific examines the dilemmas associated with economic growth through the expansion of resource extraction. States seeking to grow their economies through the expansion of resource extraction are forced to cope with the rising influence of transnational corporations on domestic politics and democratic institutions; to mitigate the environmental damage from increased extraction activities; to respond to the mounting evidence which indicates that unconventional oil and gas development practices are harming communities, local environments, and human health; and to manage the international pressures and citizens' demands that climate change is addressed through a transition from fossil fuel dependence to a clean-energy economy. 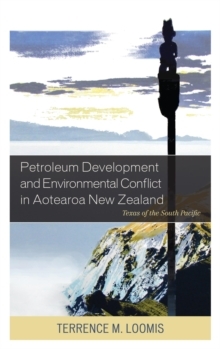 Terrence M. Loomis analyzes the circumstances under which environmental opposition to state policies to promote oil and gas development-in collaboration with the petroleum industry-, has lead to far-reaching changes in institutional relations between the state and civil society.